Article Highlight: Who Invented the Washing Machine and Dryer? Laundry tips are for the whole family whether you're a grandmother looking for some ideas, a mom looking for answers or a college student looking for a guide. Everyone wears clothes and everyone needs to clean their laundry. Want to know why using salt in your laundry is a good idea? Can you get out all manner of stains? Do you know the history of laundry detergent? Do you know what is in Oxy Clean and why it helps clean your laundry and more? Learn what is in store bought laundry detergent and how to make your own laundry detergent from scratch. The experts at Love To Know Cleaning are just like you. They want to know how to eliminate grass stains, get out blood and do laundry more efficiently. They want to use less power, less water and be ecologically friendly while still getting their clothes clean. From picking out a washing machine and dryer to cleaning a dryer vent to washing the clothes to ironing them and caring for stains before they can ruin your clothes. 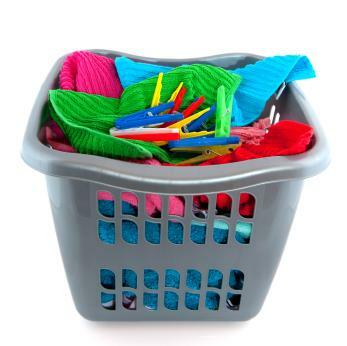 These topics and more are part of our laundry tips. Our experts work hard to find the answers to your questions before you can ask them and are always working on adding new content to the site.